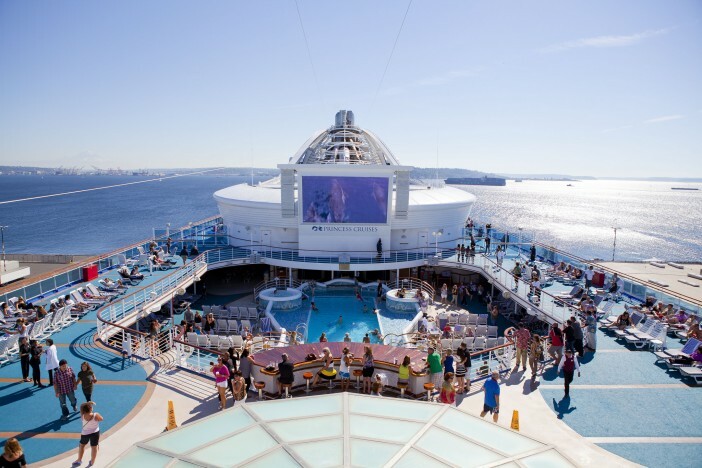 Princess Cruises have announced a partnership with Twentieth Century Fox Home to screen The Sound of Music on every cruise the line operates throughout 2015. All the 18 ships of the fleet will screen the classic musical film and host trivia games, sing-a-longs and other movie-themed experiences throughout the year. The event is a celebration of the 50th anniversary of the film which has remained enduringly popular with generation after generation. Twentieth Century Fox Home is holding a number of events throughout the year to celebrate the landmark, and Princess Cruises are a key player in the campaign. Coinciding nicely with Princess Cruises’ golden anniversary, the film was originally released in March 1965. Co-stars of the film, Julie Andrews and Christopher Plummer were reunited earlier this week during a celebratory event. Alongside the on-board events and celebrations, Princess Cruises are also offering fans the chance to win a free cruise and a $500USD on board gift card every month until the end of the year. The film will be shown once during every cruise and the massive Movie Under The Stars screens on the top deck of all 18 of the ships in the fleet. Additionally the Princess Theaters will play host to a sing-a-long version of the film for the more musically inclined. The Princess Pop Choir will give would-be songbirds the chance to rehearse their Sound of Music vocals and quiz-buffs can take part in the special Trivia Challenge. Images sourced via Flickr Creative Commons and Princess Cruises Media Center. Credit: Princess Cruises, Raging Wire.